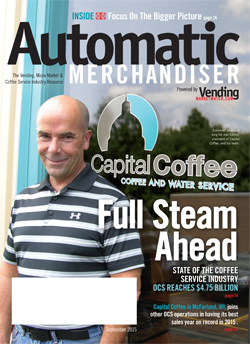 Capital Coffee revolutionized the office coffee service industry by inventing single-cup brewing. Today, we continue to embody that spirit of innovation. With numerous coffee brewing systems and beverage options, scores of gourmet coffee blends and the industry’s most attentive customer service, it’s no wonder we’re one of the largest coffee service providers in the Madison and Milwaukee, WI metro areas...and in North America. Capital Coffee & You - A perfect Fit! If you are an ambitious, high-energy person who enjoys a fast-paced team environment laced with challenges and opportunities, you've come to the right place. Our successful employees are service-oriented people with integrity and commitment toward a common goal: excellence in every area of their personal and business lives. At Capital Coffee, we’re proud to offer great jobs, great pay, great benefits and a great place to work! If you’re looking for the following things in a professional career, we invite you to download our job application to take the next step toward working with Capital Coffee! Capital Coffee is an equal employment opportunity employer as well as a drug- and alcohol-free workplace.